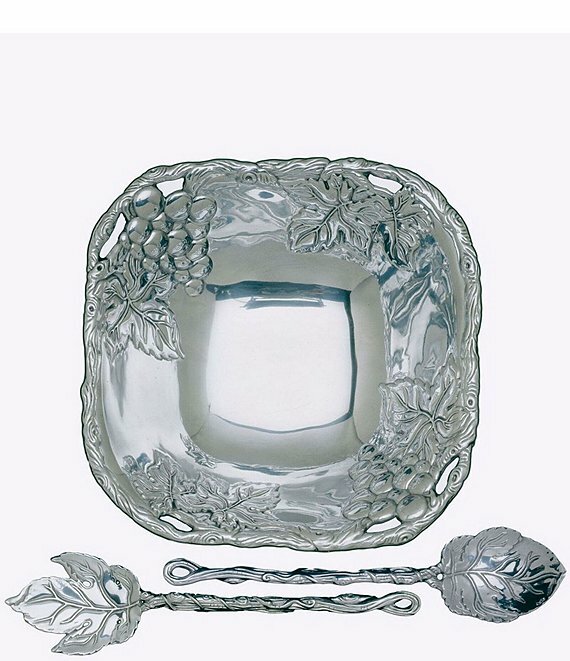 This beautiful set features a serveware bowl accented with grapes and leaves on each side and two servers. Made of sand-cast aluminum, hand-finished and buffed to a luminous shine that never needs polishing. Bowl is 9'' in diameter.